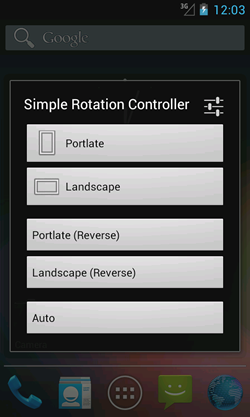 This is a simple screen rotation controller. such as Home Button Launche created by DynamicG. >> Try to use App! You can get and use this application from the Google Play.